If you are in a hurry and need to label on the fly, Stick On Clothing Labels are for you. These fabric labels have a strong adhesive backing so they can be stuck temporarily on the care tag or fabric of a garment, then ironed or sewn down later for a longer-lasting label once you have more time. 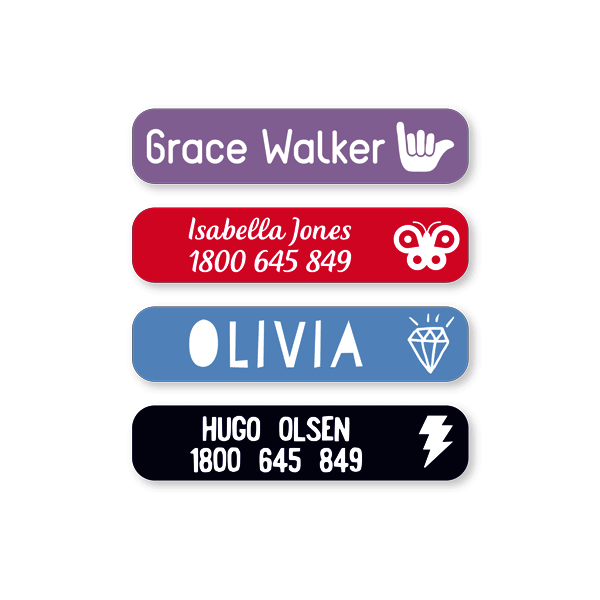 The perfect labelling solution for those last-minute sleepovers or school excursions that have snuck up on you!